Many Council tenants believe that the Council automatically insures their furniture, belongings and decorations against theft, fire, vandalism or burst pipes. This is not the case and unfortunately many people only realise this after the event. Tenants are recommended to make arrangements to protect their belongings by taking out contents insurance cover. 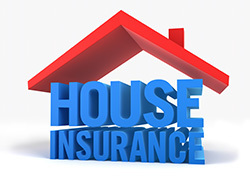 There are many insurers who can provide this cover or alternatively it can be arranged through the special household contents insurance scheme available only to tenants of Cannock Chase Council. Optional extras, such as personal effects away from the home, wheelchairs and mobility scooters, hearing aids and also buildings cover for sheds, garages & greenhouses also available for an additional premium. The Council cannot guarantee that its scheme provides the cheapest cover available, or that it provides the widest cover – you are recommended to seek alternative quotations and choose the cover which best suits your needs. Our application pack which includes further details of the cover and premiums can be downloaded below.